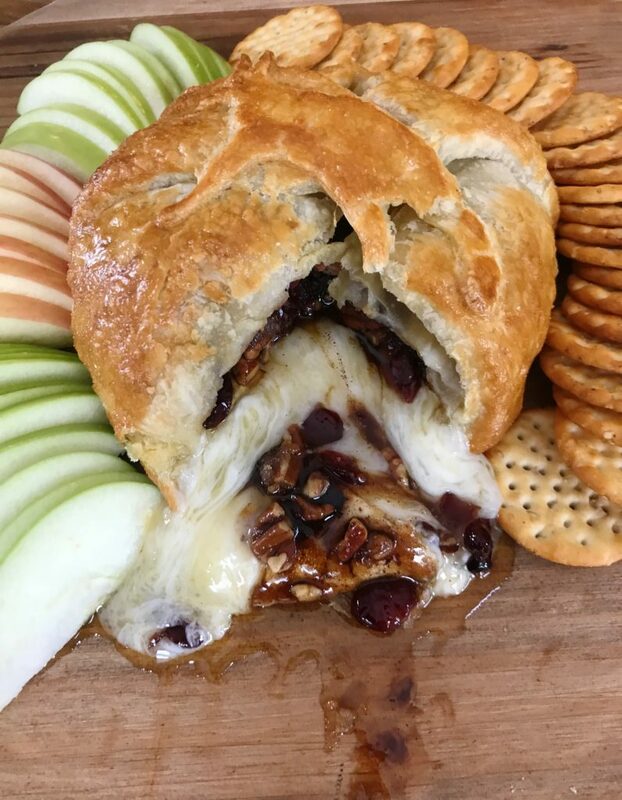 Cranberry and Pecan Brie en Croute is the perfect appetizer for the holidays. 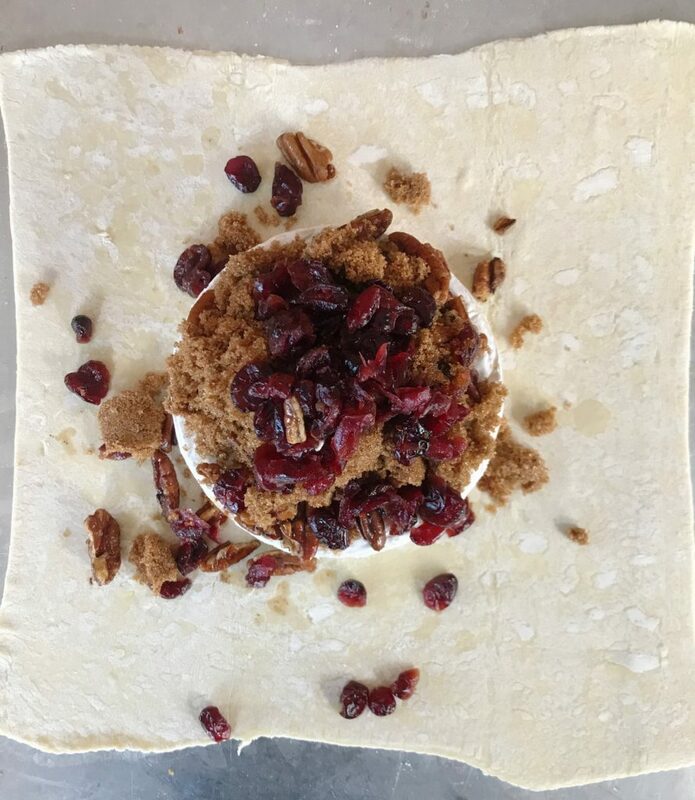 The warm and gooey brie cheese is topped with toasted cinnamon pecans, cranberries and brown sugar and wrapped in a flaky and buttery pastry crust. 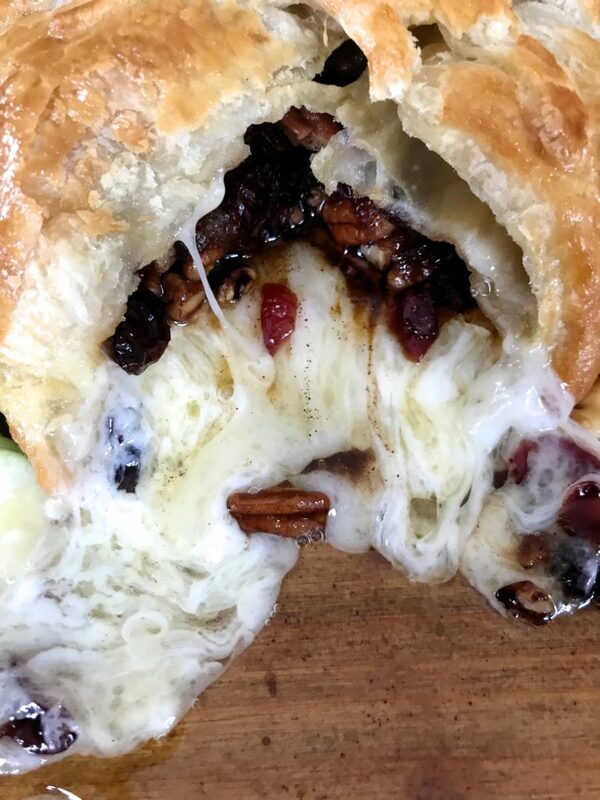 I’ve been making this Cranberry and Pecan Brie en Croute for quite a few years. It is especially fun to make for Thanksgiving or Christmas as it looks fancy though it is actually a cinch to make. The warm, rich flavors fit so well with fall and winter. It really is a delicious appetizer that is sure to impress. 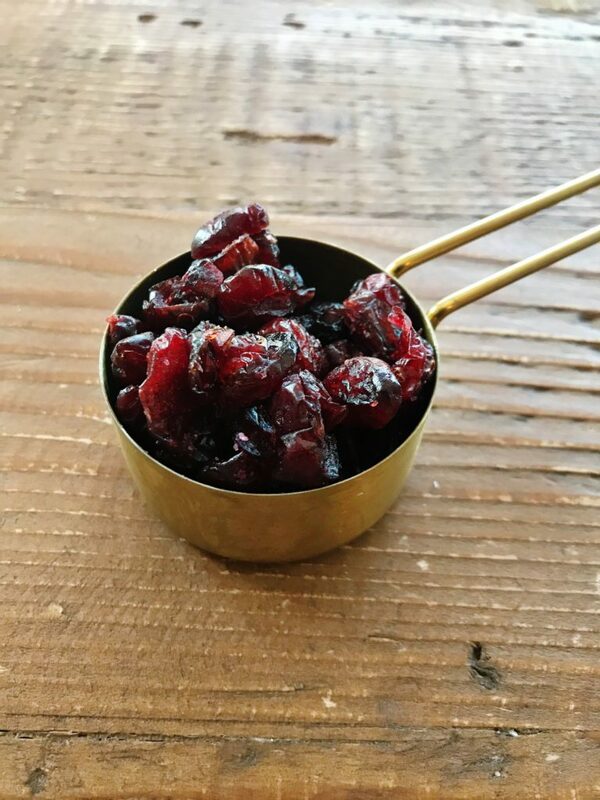 Soak cranberries in a small bow of water for one minute to soften. 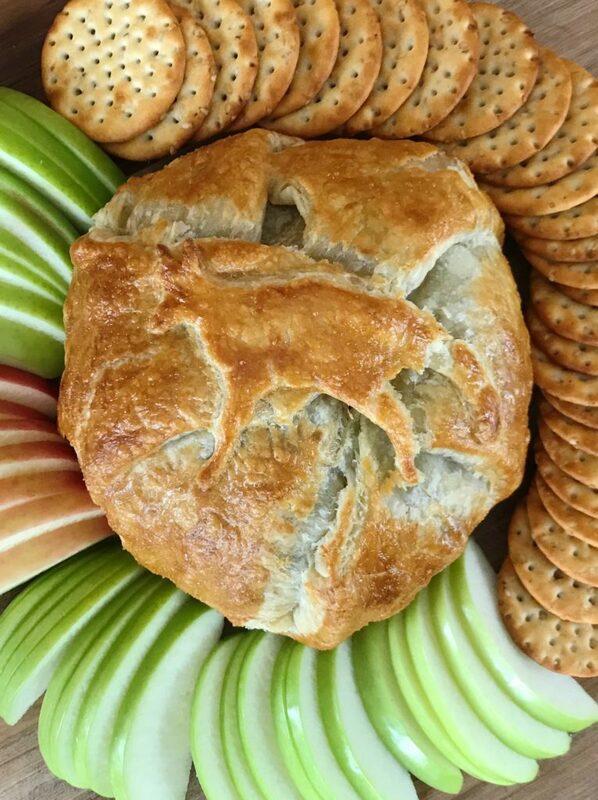 Arrange thawed puff pastry flat on a cookie sheet. 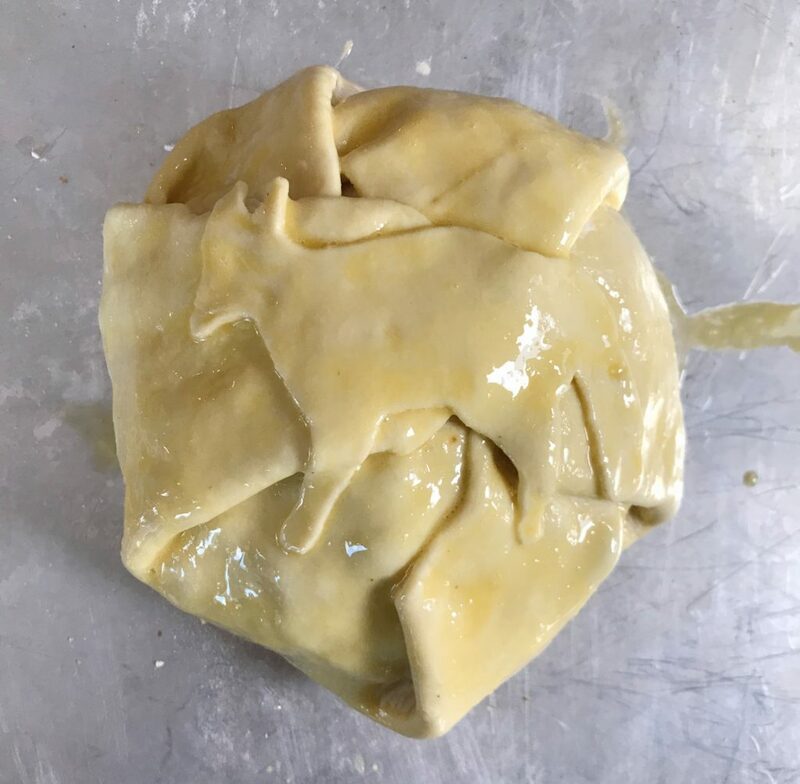 Roll out the pastry a few times in each in direction to make the pastry slightly larger. In a small saucepan, melt butter over low heat. Add in pecans and cinnamon and stir occasionally for 3 minutes. 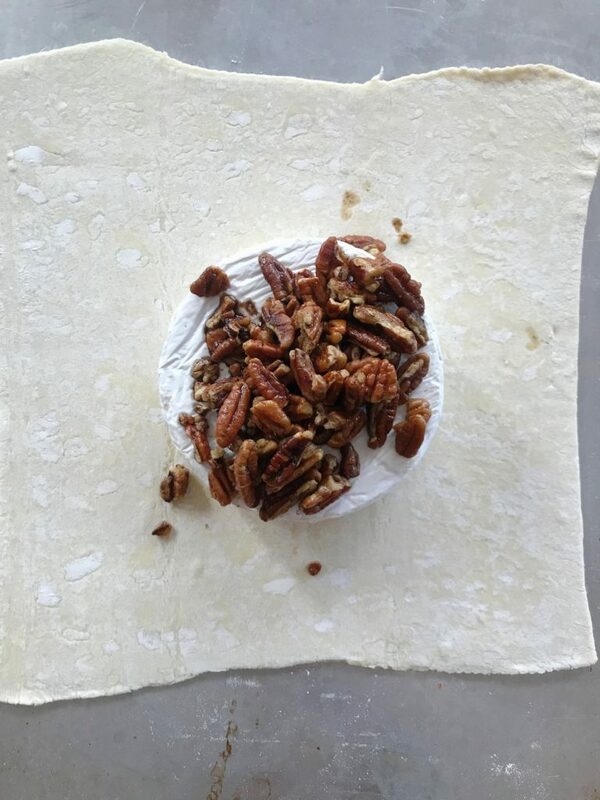 Put pecan mixture on top of Brie. 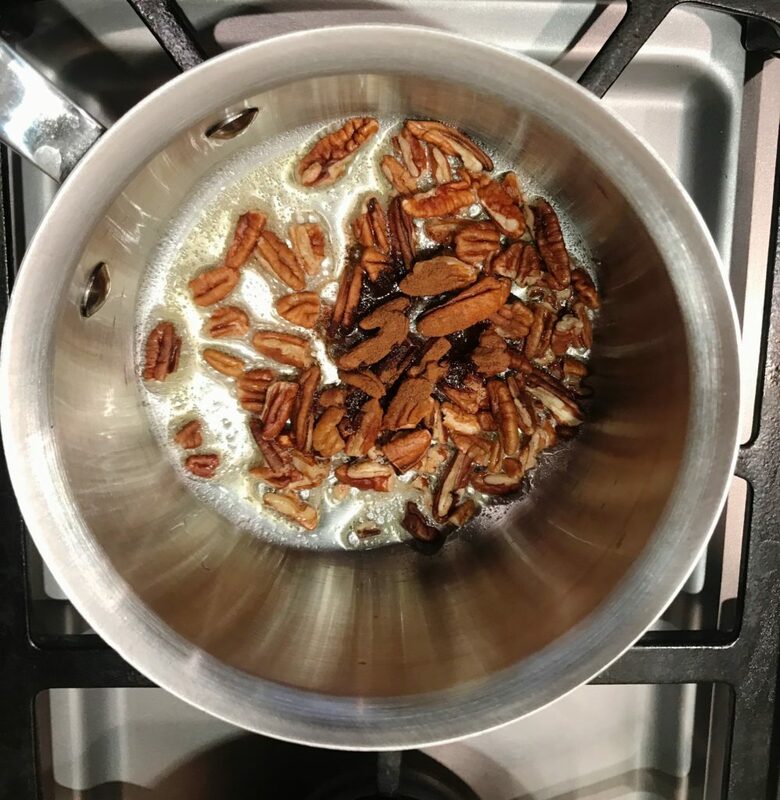 Place brown sugar on top of pecans. Drain cranberries and put on top of brown sugar. 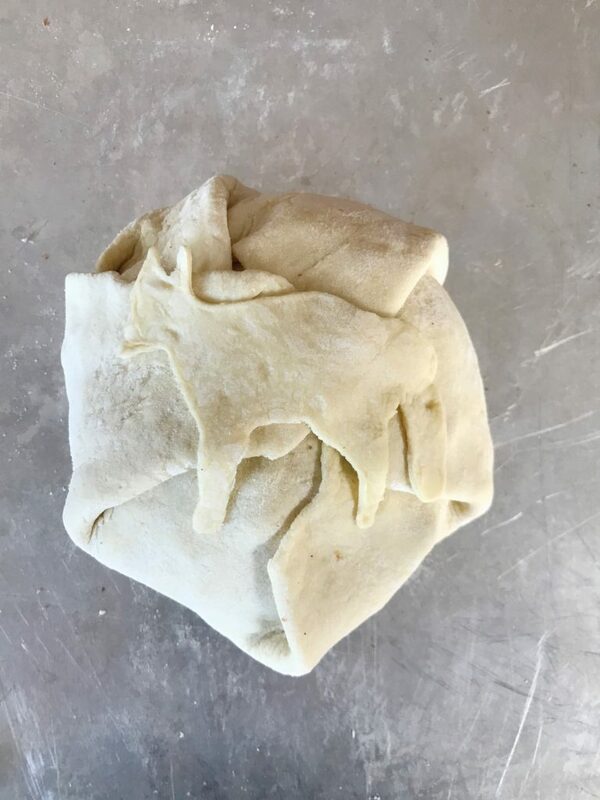 Bring the edges of the puff pastry up and seal it to wrap the center contents. Brush the top and sides with the egg using a pastry brush. 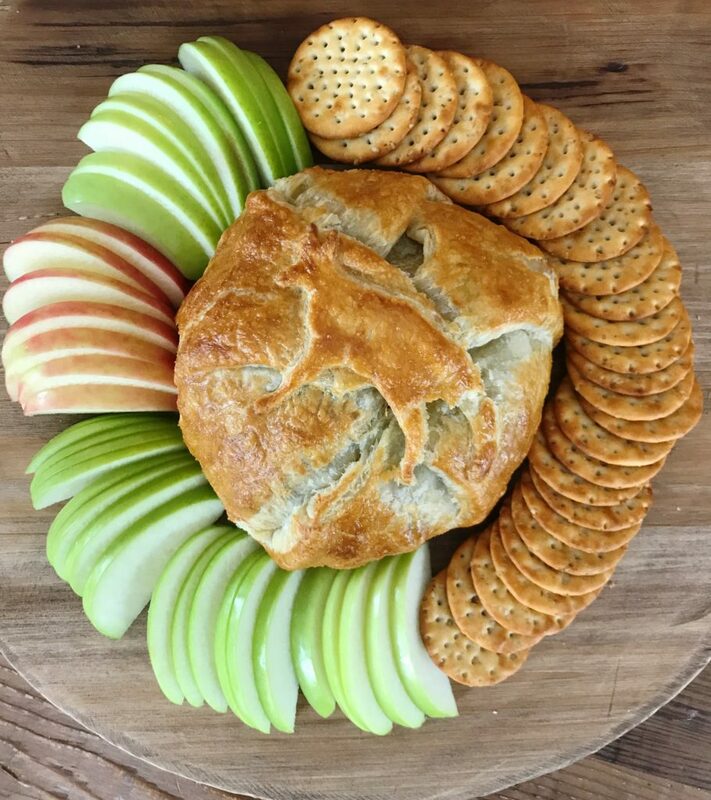 Serve with multigrain crackers, apple or pear slices. Enjoy! 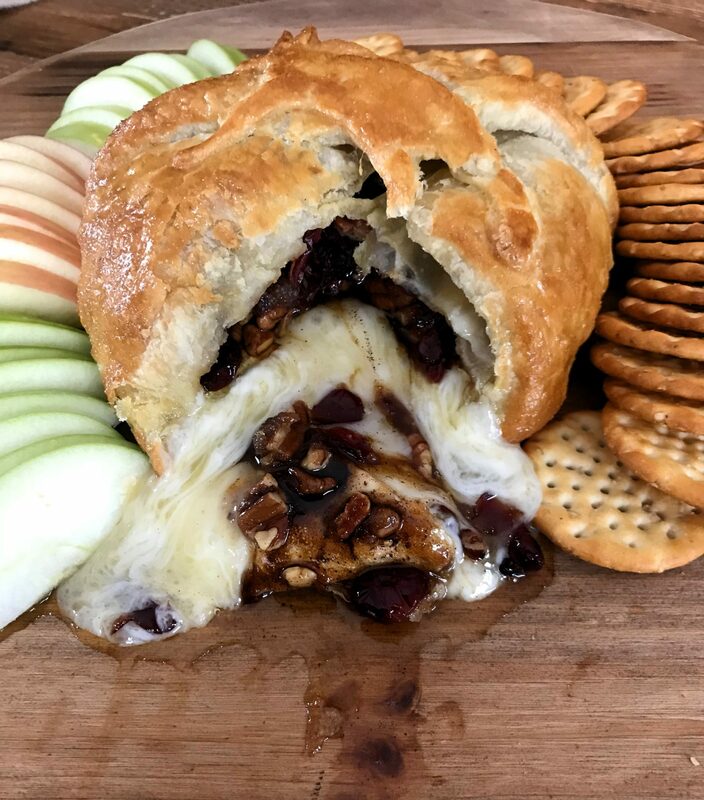 The Cranberry and Pecan Brie en Croute is extremely comforting and satisfying and sure to delight everyone. Make it sometime soon and you won’t be disappointed. Recipe adapted from Christy Denney at The Girl Who Ate Everything.